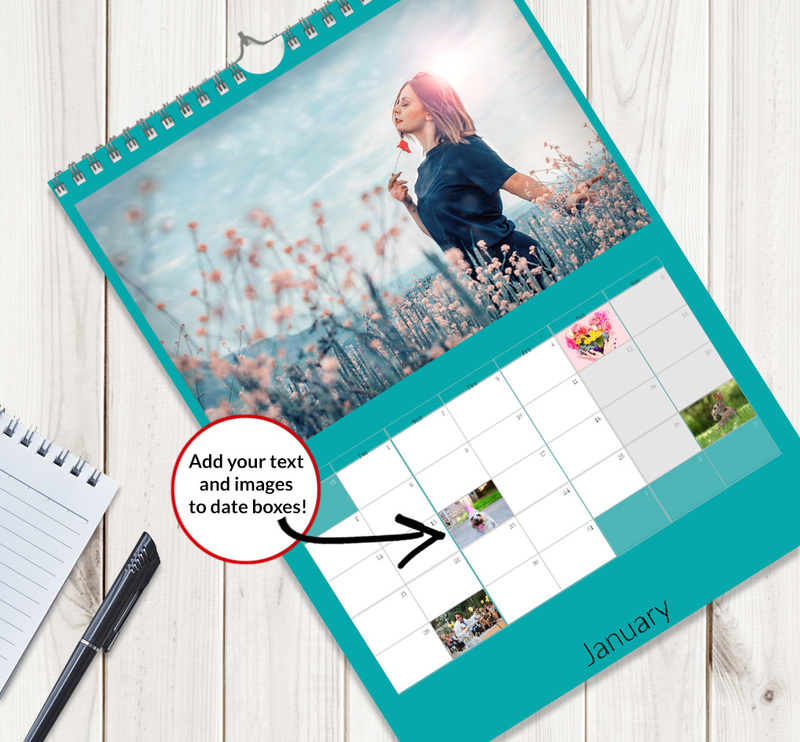 By showcasing your best work from the past 12 months, a personalised calendar is the perfect way to market your photography to clients. You can add your own branding, images and even add personalised date boxes to remind your customers of key dates throughout the year*. You can apply the same background throughout your calendar (in a single click) or add a mix of colours and backgrounds to create different monthly themes. 4. Choose from a range of page layouts including 1, 2 or 3 images to suit your style. You can also edit the colour and font of the month title to match your brand and colour scheme. 5. Then add your finishing touches…..
Our designer allows you to add persoalised images and text on dates boxes through your calendar. Add as many as you like with our easy editor tool. With a range of options and the freedom to design a trully bespoke calendar for your business why not order your own personalised calendar today?